Sociometric nominations, social cognitive maps, and self-report questionnaires were completed in consecutive years by 327 students (56% girls) followed longitudinally from grade 7 to grade 8 to examine the stability of social standing in peer groups and correlates of changes in social standing. Social preference, perceived popularity, network centrality, and leadership were moderately stable from grade 7 to grade 8. Alcohol use and relational aggression in grade 7 predicted changes in social preference and centrality, respectively, between grade 7 and grade 8, but these effects were moderated by gender and ethnicity. Changes in social standing from grade 7 to grade 8 were unrelated to grade 8 physical aggression, relational aggression, and alcohol use after controlling for the grade 7 corollaries of these behaviors. 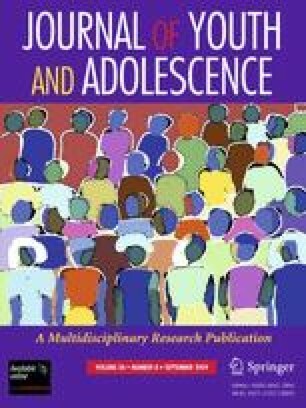 Results are discussed in terms of their implications for understanding links between social standing and problem behaviors during adolescence. This work was funded by grant 1 P20 DA017589-02 from the National Institute on Drug Abuse to the Duke University Transdisciplinary Prevention Research Center.